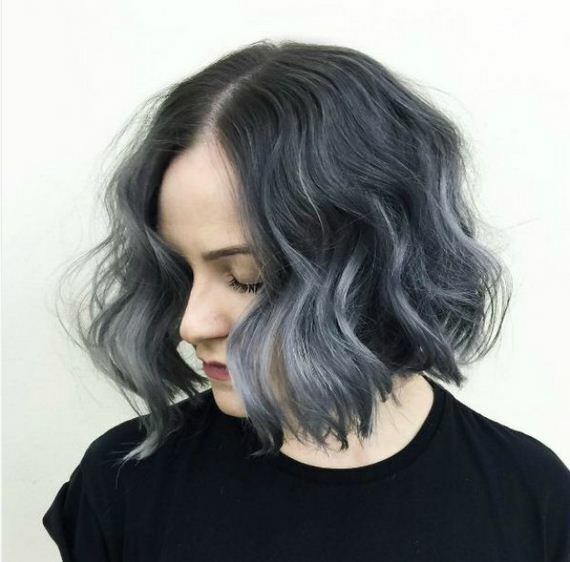 Get an edgy and professional look if you grow out your silver ombre bob hairstyle and walk to the office with confidence. 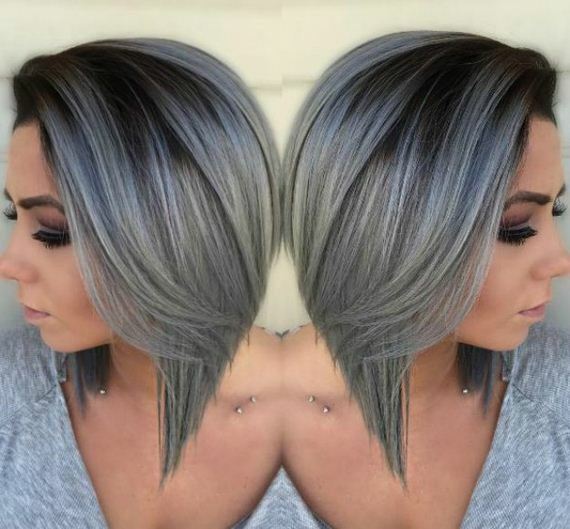 This silver ombre hair is one of my personal favorites. 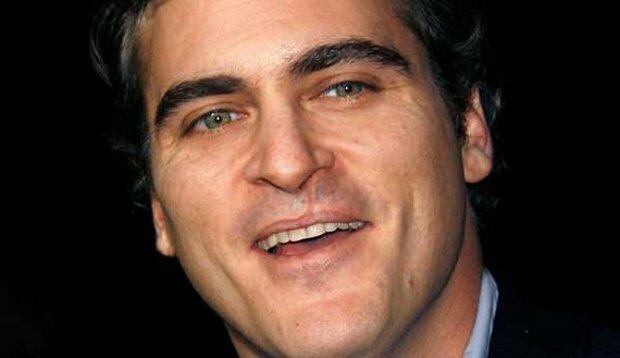 It makes you feel fresh and sophisticated at the same time. This is one of the best I’ve seen. 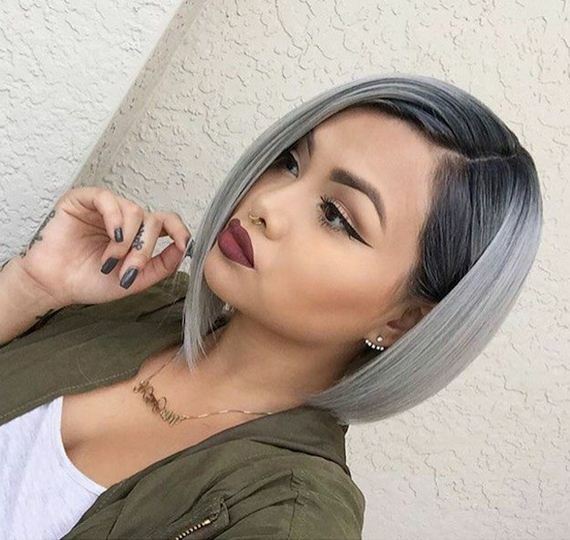 If you want a spunky short hair style, try changing your hair color to silver ombre. 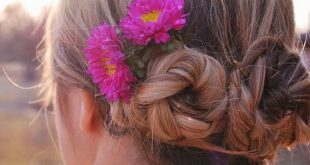 It’s unique and will surely glam up your overall look. 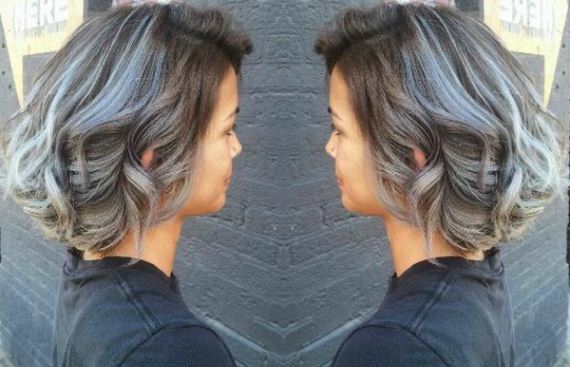 Try getting a straight cut silver ombre hair for cool and fierce rocker vibe. 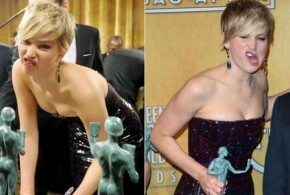 Dyeing your hair silver when you have dark hair is impossible unless you bleach it. I only use Manic Panic Flash Lightning Hair Bleach Kit 40 Volume whenever I need to bleach my hair. It’s vegan and it works absolutely fast! A kit costs only $10.50 from Amazon. 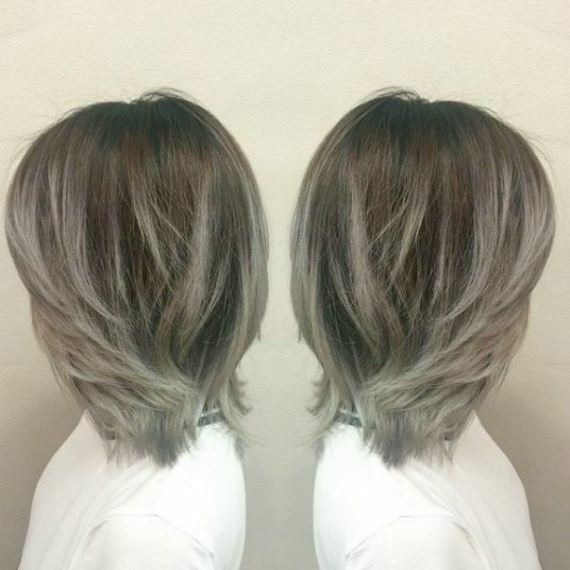 Beachwave silver ombre hair is a cute way to flaunt this hair color. 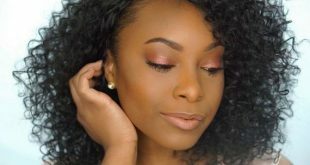 It’s a blunt one length line with soft curls and silver ombre highlights. 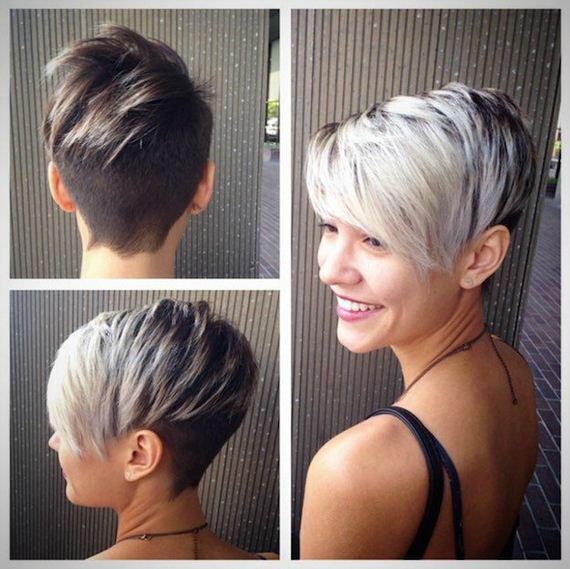 If you want an extraordinary super short haircut, this one’s for you. 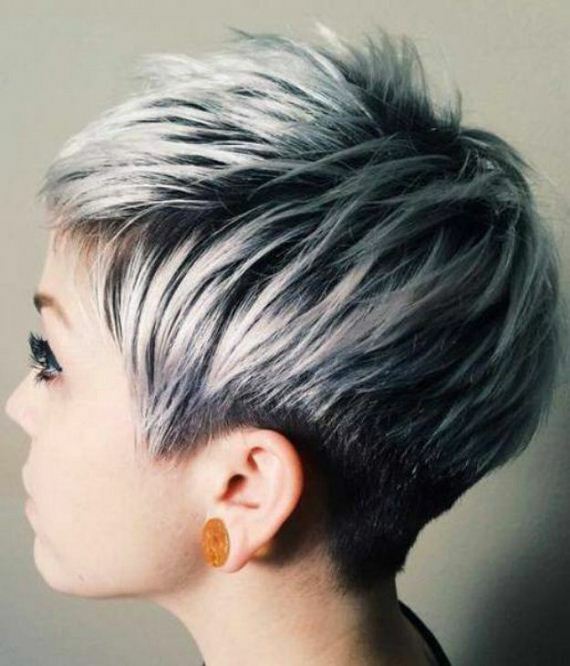 It’s a silver ombre pixie undercut that will make you stand out from the crowd. 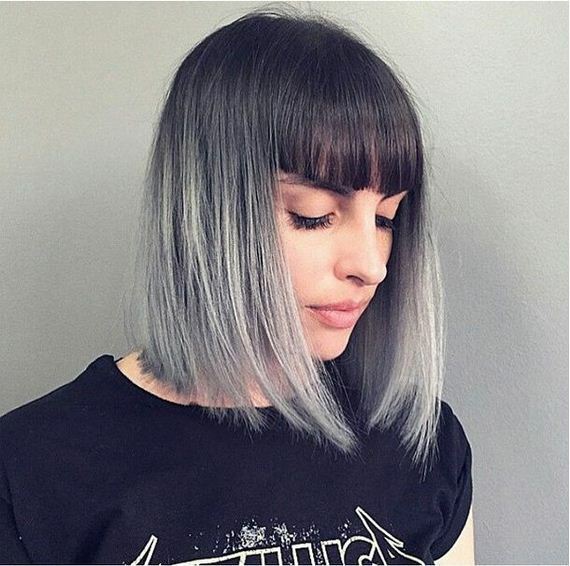 This cool haircut with bangs brings out the 90’s vibe of the silver ombre hair color. 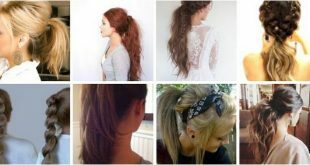 Sport a silver ombre look this autumn with your cute fall outfits. The warm colors match perfectly with the color of your hair. 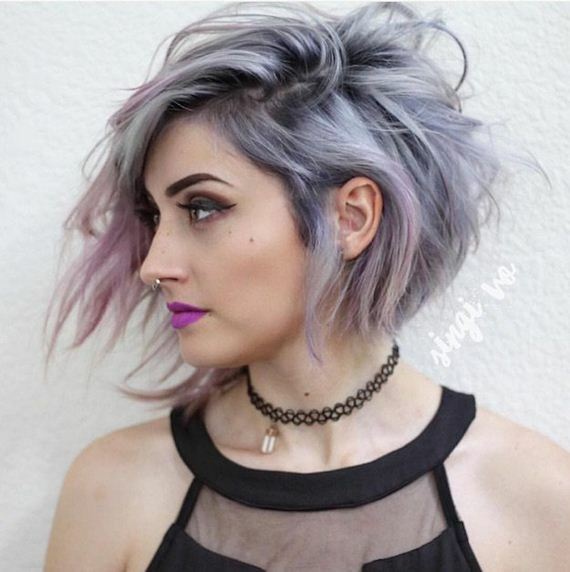 This lavender-toned silver ombre hair adds a feminine and flirty touch to the silver ombre hairstyle. 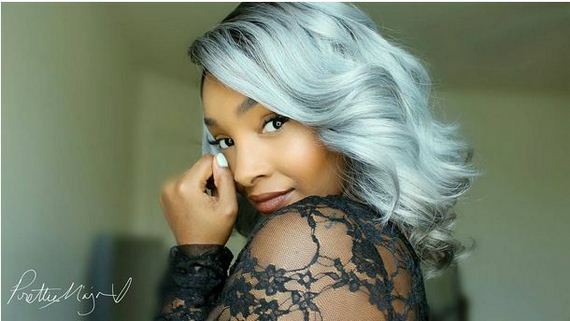 Silver ombre hair looks good against any skin tone. 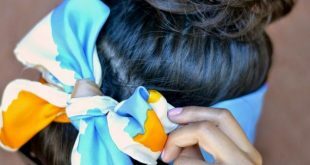 Try soft big curls to give the hair color lots of personality and you’re good to go!